The availability of affordable housing continues to be a nagging problem in New Hampshire, according to the NH Housing Finance Authority’s newly released end-of-year Housing Market Report. 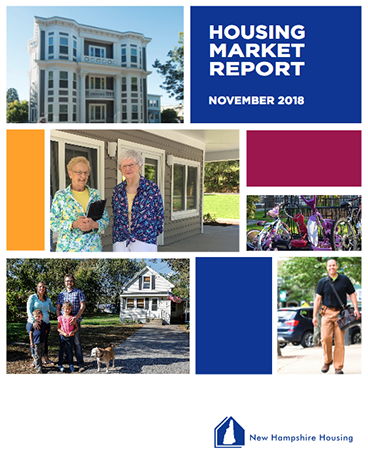 The report, which is published three times a year, provides an overview of the economic factors affecting the state’s housing market. It essentially finds that, while there are some encouraging signs – including a slight uptick in available single-family inventory – the pressures that have plagued renters and homebuyers are continuing. For instance, while there are some signs that single-family home inventory is leveling – August and September inventory in the Manchester area reached its highest level since March 2017 – there were still 10.6 percent fewer homes on the market in September 2018 than a year earlier. And the inventory is about 37 percent smaller than September 2015 and 25 percent smaller than 2016. As for the rental market, the statewide median gross rent for a two-bedroom unit in 2018 rose to $1,296 — 2.94 percent higher than 2017. But geography plays a role in affordability as well, with average two-bedroom rents ranging rom $861 a month in Coos County to $1,368 in Hillsborough and $1,456 in Rockingham – the state’s two most populous counties. In addition, the report notes that 46 percent of rental households are paying 30 percent or more of their household income on rent, with lower-income families likely to be paying an even higher percentage of their household income toward rent. But there may be some signs that the tide is beginning to turn. According to an accompanying commentary by economist Russ Thibeault of Applied Economic Research of Laconia, “Mortgage rates have moved in lock step with the Federal Reserve’s rising rate policies,” rising from 3.4 percent in 2016 to nearly 5 percent in the fall of 2018. “In the past, rising rates have transformed the housing market, shifting it from a seller’s market to a buyer’s market,” noted Thibeault. To download a copy of the report, visit nhhfa.org.